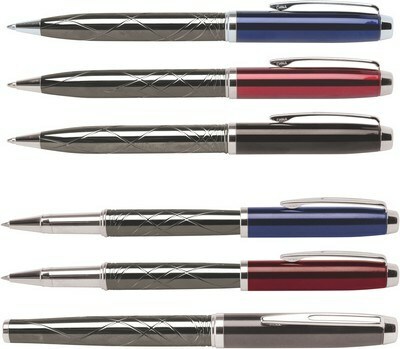 Imprint area - 1 1/4" x 1/4"
Make them feel honored with the personalized Guillox 9 Ballpoint pen as your promotional gift. This pen features fine decorative etching on gunmetal barrel and gives it a stand-out look. 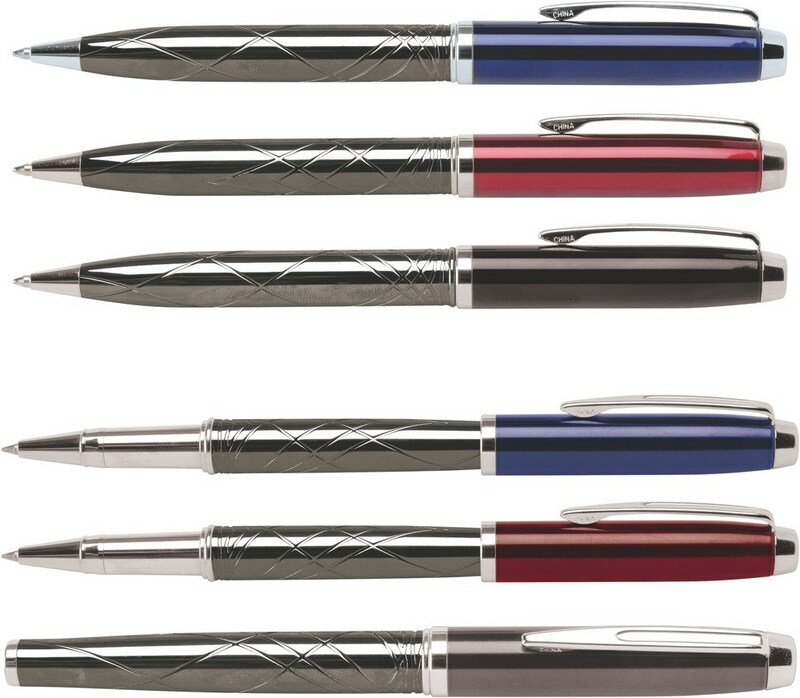 High-gloss enamel upper barrels and polished silvertone accents take the pen to the next level. It comes in three high gloss enamel colors to choose from. Unique clip design makes sure that the pen slips easily into any object. It makes an interesting gift for tradeshows, company events, school and college functions and employee recognition. Add your brand imprint today to create an eye-catching giveaway.